PHONE BOOKS - Remove front and back cover (they are garbage) put book in NEWSPRINT (they do not have to be in bag or tied. Please try and have all recyclables prepared before you come. If you are not sure, please ask one of the attendants. B. I. Transfer Station is open from 8:00 am until 5:00 pm from May1 through October 31. We are open from 11:00 am to 5:00 pm from November 1 thru April 30. We are closed on Sundays, Memorial Day, July 4 th , Labor Day, Nov. 15 th ,Thanksgiving, Christmas and New Years Day. There is a hopper left outside when we are closed that is for people leaving the Island ONLY . Supervisor Don Vyse called the regular meeting of the St. James Township Board to order at 7:30 pm on April 4, 2007. Also present were Jim Wojan, Tim McDonough, Rick Speck and Jean Palmer. Motion by McDonough and seconded by Wojan to approve the minutes of the March 7, 2007 meeting as written. Motion carried. Budget: Motion by Wojan and seconded by Palmer to adopt the proposed budget for 2007-2008. Motion carried. Levy Millage: Motion by Vyse and seconded by Wojan to levy the millage to support the budget. Motion carried. Road Name: Bill and Judy Daniels who have a home in the Gull Harbor area and whose address is along the newly named Downer Road, wrote a letter to the Township Board requesting they consider changing the name of Downer Road. 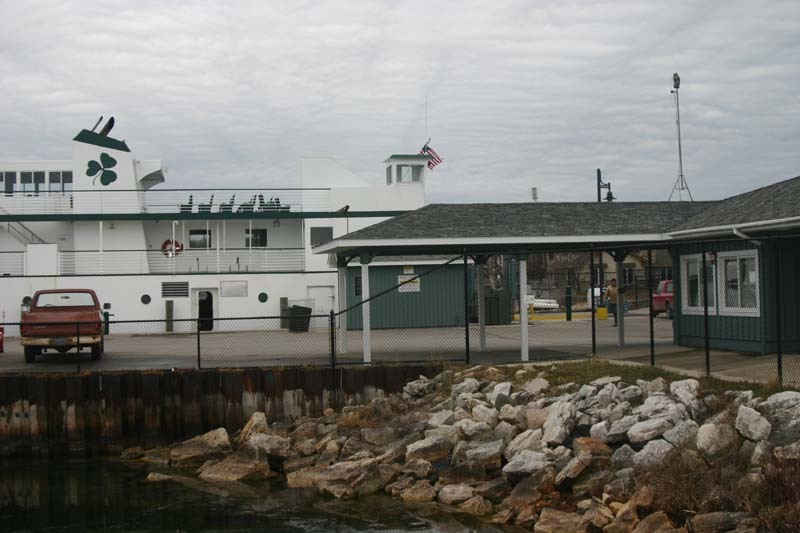 Several other names were submitted to the Board and considered at the time the road was named, but the name of Downer was agreed upon by the Board because of the history of the name in the Gull Harbor area. Clerk will write a letter to the Daniel's with the Board decision and if they still want a name change to talk to the other property owners along this road or circulate a petition for a change and come back to Board with their findings. Routine Payment Authorization: MTA rules allow for routine payments to be made during the month if there is a specific due date for payment before the next regular meeting date. This would include utilities, credit card payments, salaries, or other budgeted items. Motion by Wojan and seconded by Speck. Motion carried. Roll call vote followed with approval from all Board members. Land Purchase: The following resolution was presented to the Board: To complete the previously authorized purchase of Lot #4 of the Robin Woods Plat in the amount of $24,600 plus closing costs with title to be shared with Peaine Township and further, to authorize the Supervisor to sign all closing documents. Motion by Wojan and seconded by Speck to approve the resolution. Motion carried. Roll call vote followed with approval from all Board members. Motion by Wojan to adjourn meeting at 7:55pm . 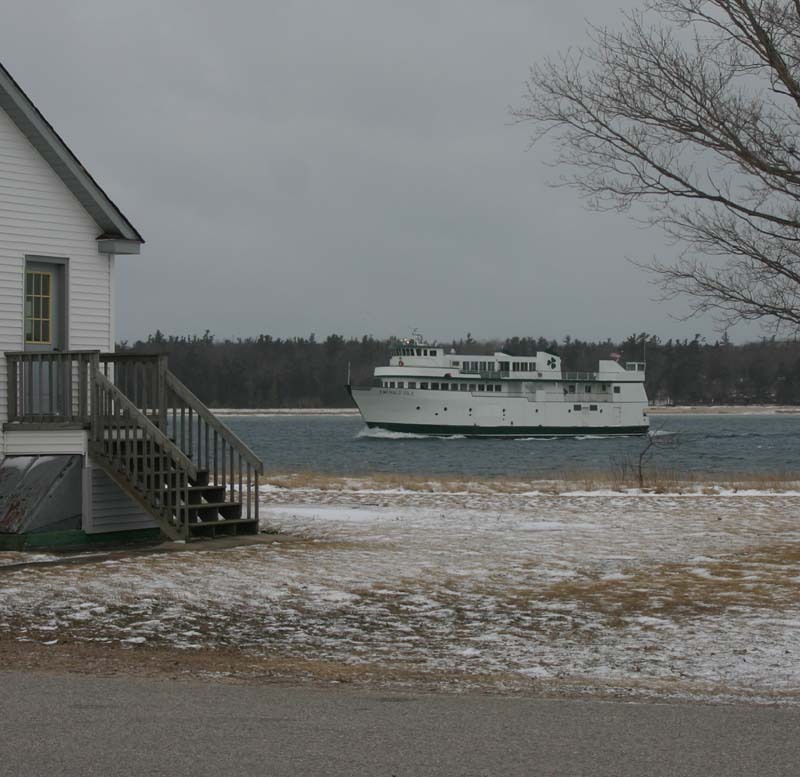 The Spring Break is over for the students of the Beaver Island Community School. Classes resume Tuesday morning, April 10, 2007, at 8:15 a.m. The break for routine was wonderful for teachers, staff, and students. 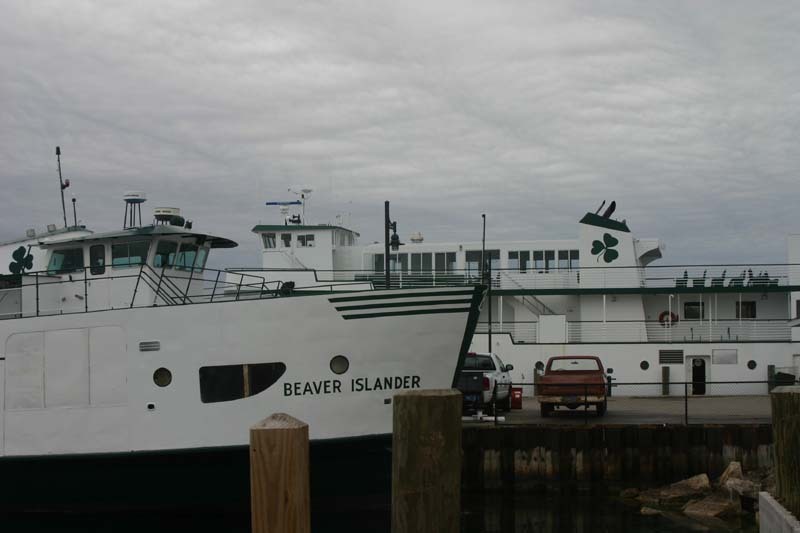 There will be quite a busy spring schedule of events that can be found at http://beaverisland.k12.mi.us. It seems that Mother Nature is pulling an April Fool's Joke on all of us in Northern Michigan. The snow just continues to keep coming down day after day. US-31 has had accident after accident, some with serious consequences. I don't know about you, but, "I surrender, Mother Nature. Are you done laughing yet?" 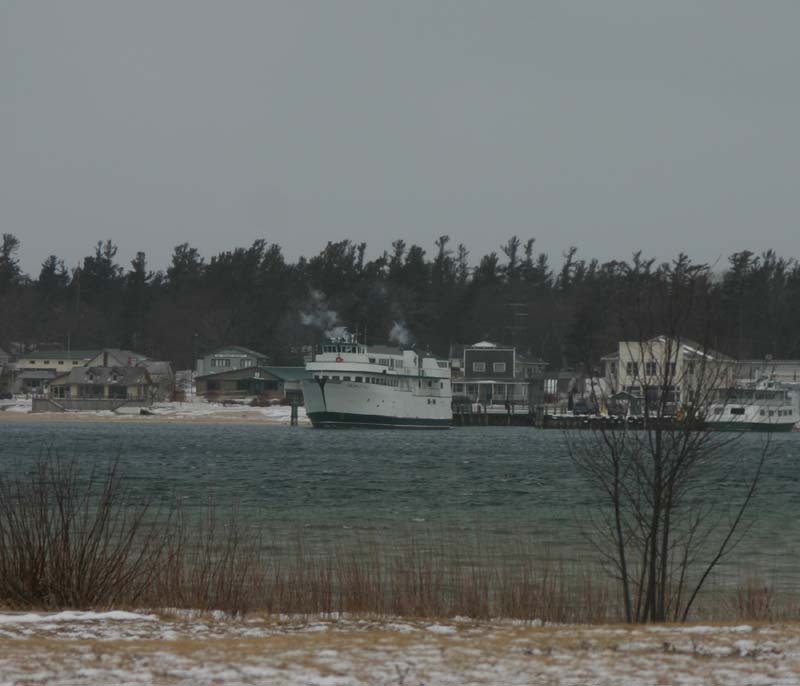 Drifts of snow may be 8 inches in some places with four inches on the level at the north end of the Island. This Saturday, April 7, 2007. Isn't it supposed to be Spring? The sun is trying to shine today, Monday, April 9, 2007, but the temperature is still quite chilly. Perhaps Mother Nature is taking a break from the April Fool's joke, or she got distracted by something else. Victoria Mogford, 8 years old, has announced that her baby brother, Philip Robert Mogford, was born at 9:05 a.m. on April 6, 2007. He was 7 lbs. 1 oz and 20 inches long. Besides the excited sister, mother Angie Mogford and father Kevin Mogford are busy calling relatives. The grandparents are Ruth Gregg of Charlevoix (formerly of Beaver Island) and David Himebaugh of the Petoskey area, as well as Bob and Ruth Mogford of the Pellston area. Great-grandparents are Phil and Lil Gregg of Beaver Island. Philip Robert was born at Charlevoix Area Hospital. 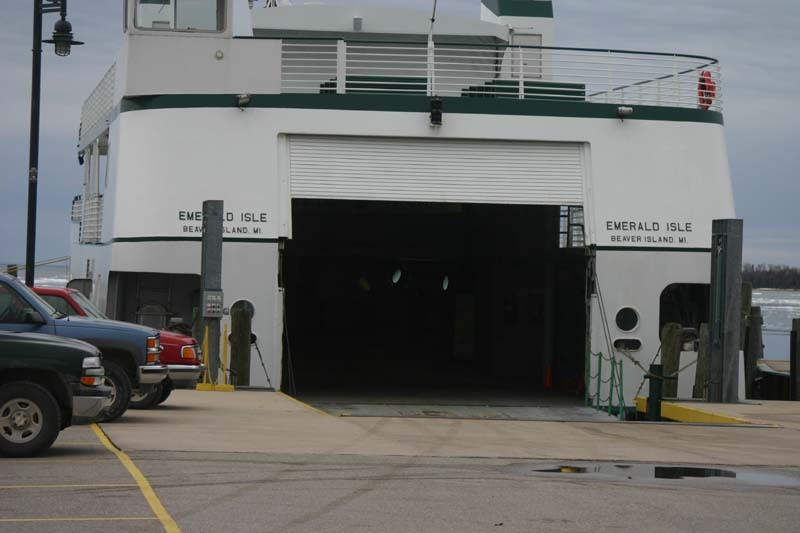 The crew of the Emerald Isle was working pretty hard on Tuesday, April 3, 2007, getting the boat ready for a possible departure of Wednesday morning. 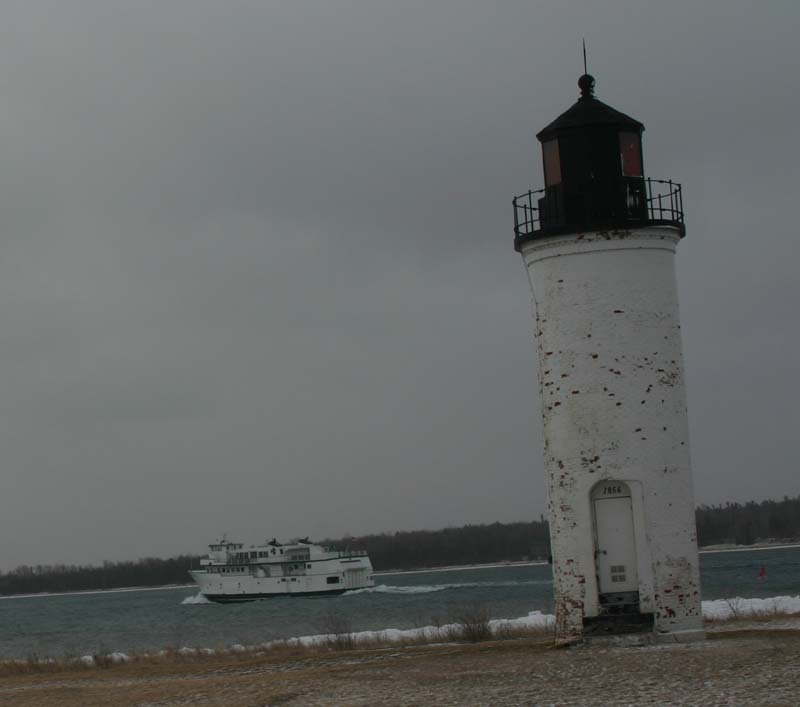 Unfortunately, Wednesday morning brought a gale force wind gusting to 60+ mph, and not a pleasant day at all for shipping, sailing, or boating in general. 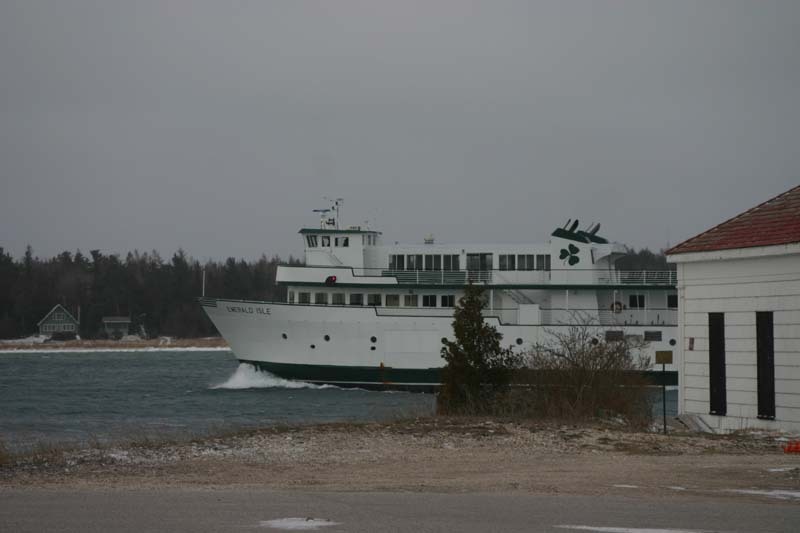 Thursday morning wasn't any better, but with a switch in the direction of the wind, Friday turned out to be the day of the first boat of this shipping season. 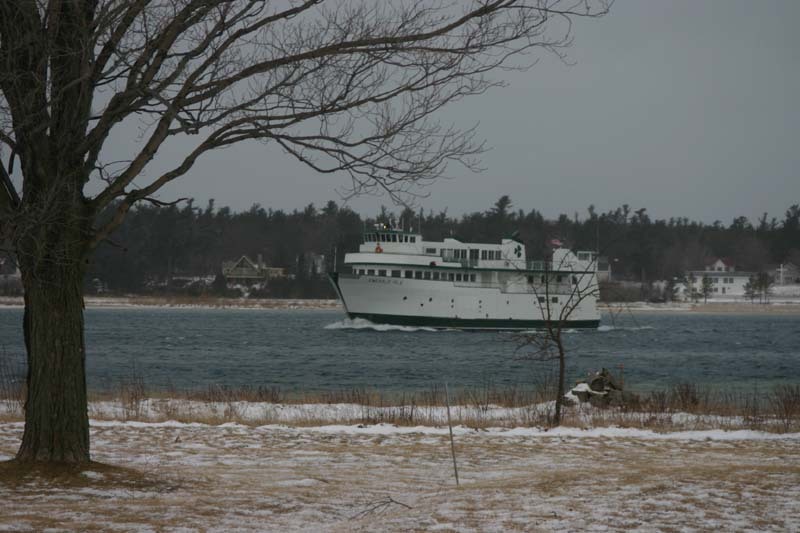 The boat pulls out from the dock and travels slowly out to the mouth of the harbor. 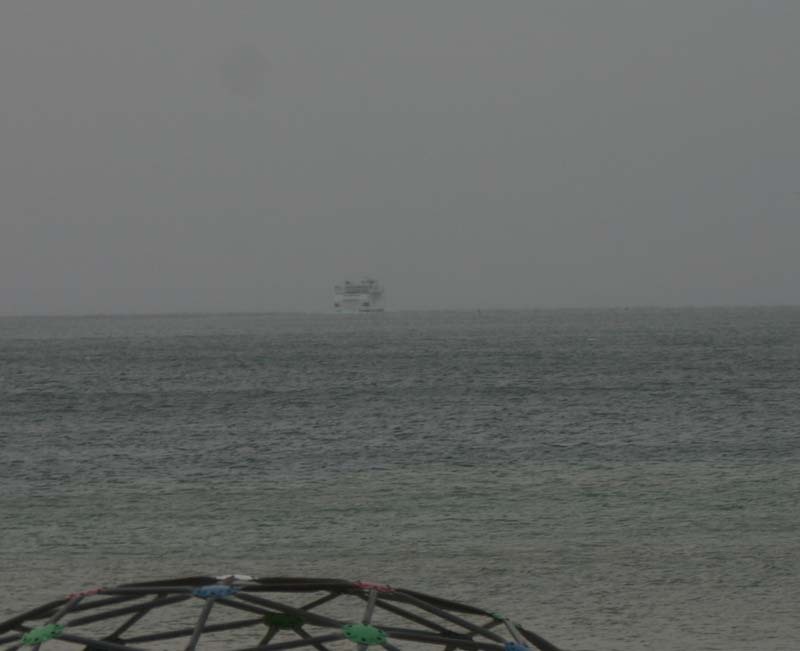 And then very shortly, without much warning, the boat disappeared into the haze. The above picture was taken from the playground in town, and then I drove fast and tried repeatly to see if I could get a picture of the boat from the end of Carlilse Road, from the Mike Boyle's Beach, and finally after several driveways, the boat was barely able to be seen from CMU Biological Station beach. 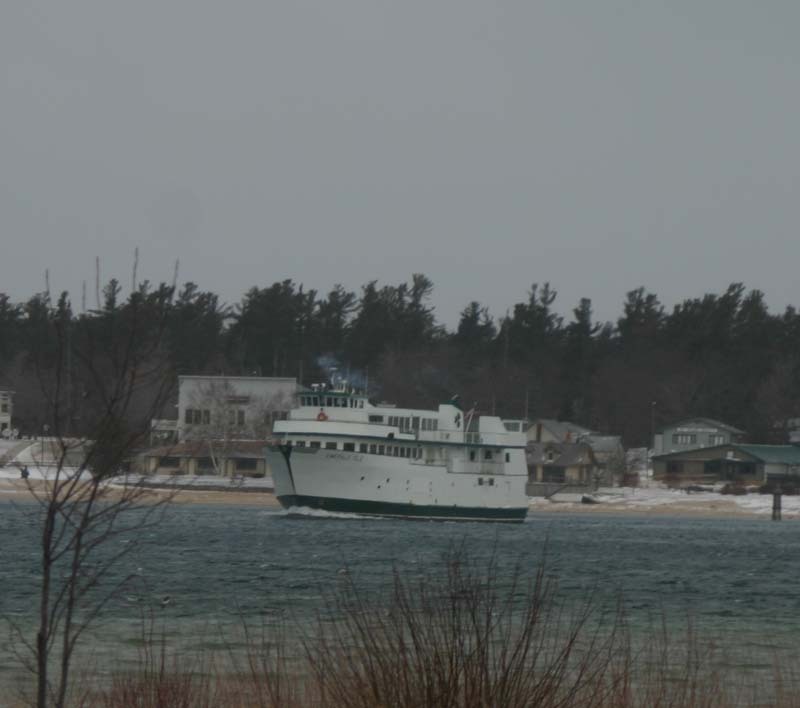 It was not sighted again from the shore of Beaver Island as it made its trip through the haze. This reporter drove all the way down to South End Road stopping along the way, and no pictures could be gotten due to the haze. 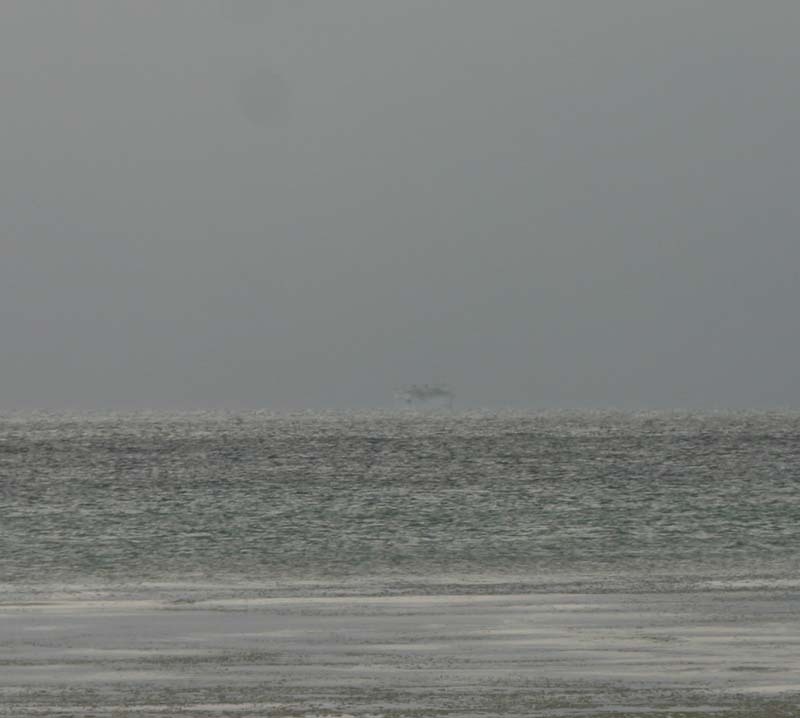 If you look very closely in the center of this picture, you can see the stern.